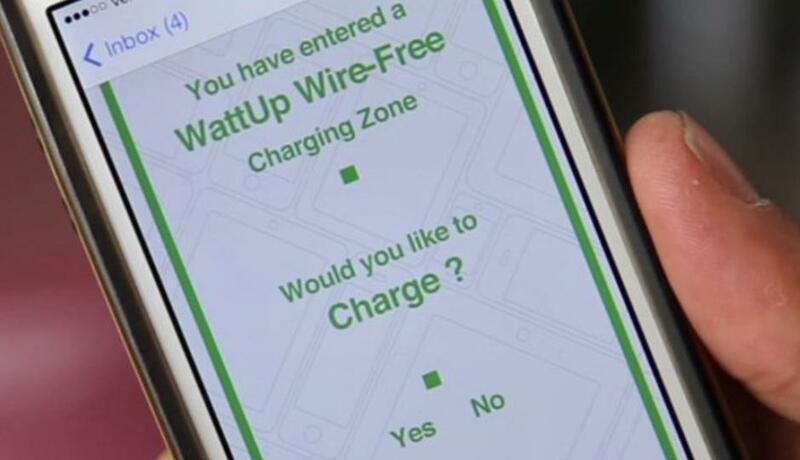 Energous, a Technology company is developing a technology called “WattUp” which enables Wireless charging on any Mobile Device within the area of 15 foot radius. WattUp can charge around 24 Phones/Tablets by sending them the Power if they are available within 15 foot radius. In the video on the official site it is showed that it will not only support the charging of mobile phones, it will also support other Gadgets which have WiFi in it, the videos also shows the charging of the Smartwatch and other things which have WiFi. You can have the look at the video on the official site so that you know more about what Energous is developing. All the devices can be controlled from a Single device which might be called as the master device. So that the other people entering the WireFree Charging Zone cannot get access to the WireFree Charging. In one video it was also shown that the WattUp technology can not only charge Mobile Devices but it can also charge other Electronic Devices like Remote, Robotical Games, Smartwatches, Mobile Phones. However due to the ability to send less Power it cannot charge Laptops and other devices which require High Voltage or High Power.